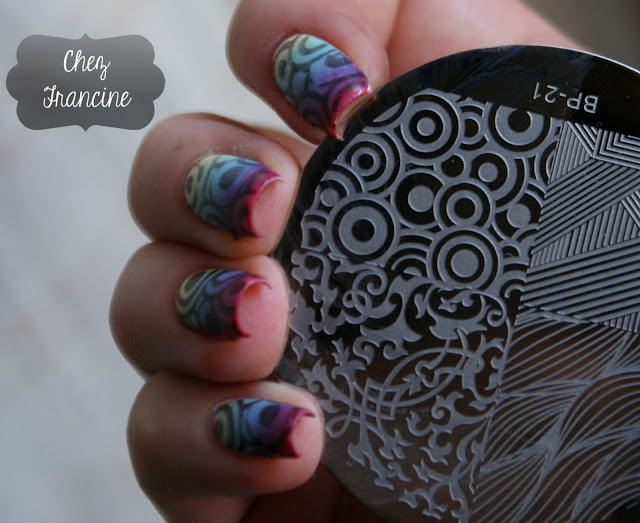 Gradients are fabulous background for stamping. When you're bored or you nail art is chipped, you could easily reloaded your manicure in few minutes. Last month I purchased some plates from Born Pretty Store, and I've tried how this pattern looks. Do you remember my Larkspur gradient I've shown you yesterday? I used it as the base for this lovely nail art. The optical pattern comes from Born Pretty Store BP 21. 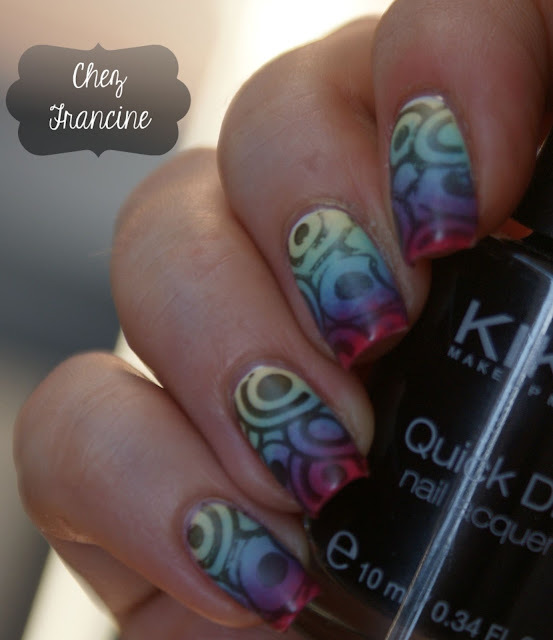 I've used KIKO Quick Dry 819 for stamping and it worked nicely. It turns dark charcoal gray, but it's okay. 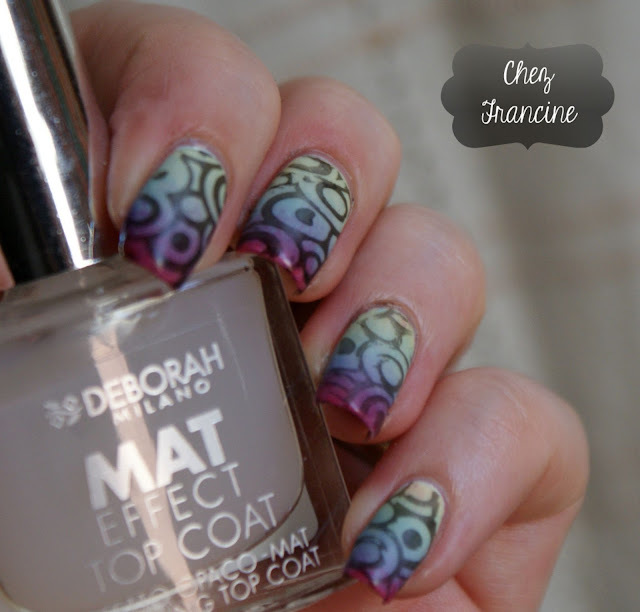 I sealed my nail art with the best matte top coat ever, Deborah Mat Effect top coat. Ricordate la gradient che vi ho mostrato ieri? L'ho usata come base per questo disegno geometrico. La matrice è la BP21 di Born Pretty Store. Ho usato KIKO Quick Dry 819 per stampare e funziona discretamente. Diventa grigio antracite, ma va benissimo così. Ho sigillato il tutto con il miglior top coat matte di sempre, Deborah Mat Effect top coat. I'm really impressed by Born Pretty plates. They are weel carved and very low-coast. I think I'll buy tons of these plates, in the future. 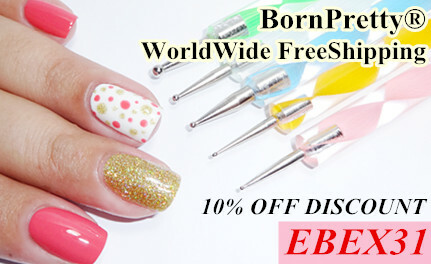 I've a discount code to share with you: EBEX31. Make sure to add it to your next shopping cart! Sono molto colpita dalla qualità delle matrici Born Pretty. Sono incise in profondità e molto economiche. Penso proprio che ne acquisterò a dozzine, nei prossimi mesi! Ho un codice sconto da condividere con voi: EBEX31. Assicuratevi di aggiungerlo al vostro prossimo ordine! 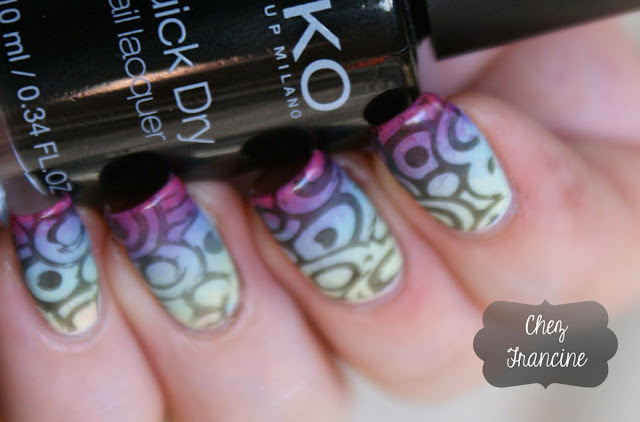 What do you think about stamping? Do you prefere it with plain colors or it's better stamping over a gradient? Colore su colore oppure con una gradient per base?